Network components are often simply put in place and not configured correctly. This can lead to bottlenecks and collision that slow your network down. Talk to Art of Technology about how to best optimise your network and keep it running efficiently. IT related equipment including hardware, networks, data cabling and software. We can install and configure equipment from leading manufacturers including CISCO, IBM, HP Dlink, Dell, Netgear and many others. We also provide both onsite and remote support. CCTV including multisite, IP based and remote viewing. Access Control of door entry and site entry systems both standalone and PC based. We are highly skilled in the installation of Paxton equipment. Telephone Systems including VOIP (Asterisk, Trixbox etc) and hybrid systems that incorporate analogue, ISDN and SIP. We also provide a consultancy service that includes planning, design and project implementation. 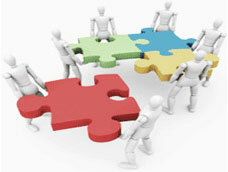 Experience gained on both small and large scale projects helps to give you an informed solution. This has included existing systems through to new builds for schools, businesses, charity and the voluntary sector.